I'm a believer... in dreams made of happiness.. and what a child wants it to be. I believe it's something that would let them develop even BIGGER things, improve race and make technology beneficial for themselves, and generations to come. Just week ago, Jollibee got us to experience something new. They have been working so hard together with a US based tech company called Trigger to make use of the new generation Jolly Joy Box and how they would get to make this simple packaged treat for kids become a great live dance studio for Jollibee, you and his whole crew! Unbelievable? Yes, but not quite impossible as we saw it in action last week! It's called JolliDance Showdown! Step 1 Go get a Jolly Kiddie Meal (Jolly Joy Box shown above) and enjoy it in the store, at home, or anywhere in the world! Step 3 Once installed, open it and scan your Jolly Joy Box. 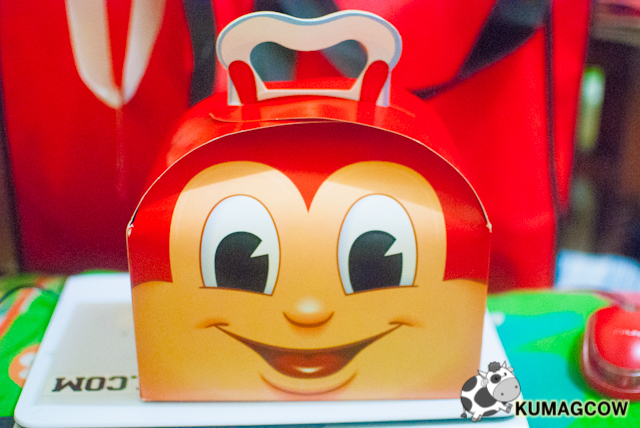 You'll see the actual box come to life and be a full blown Jollibee Store complete with disco balls and stuff! 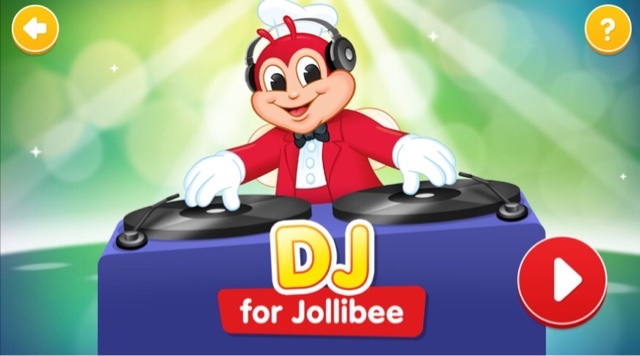 Step 5 You can also make your own dance track by going to the DJ for Jollibee section and dance it off with Jollibee! 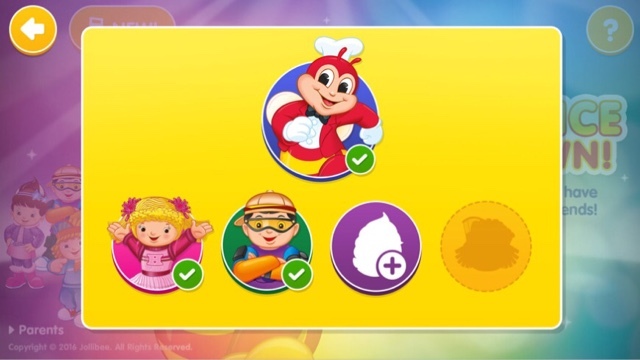 Step 6 To get Jollibee's friends like Hetty, Popo Potato, Mr. Yum or Twirlie, go to your nearby Jollibee store and scan the special sign so you can unlock them all. 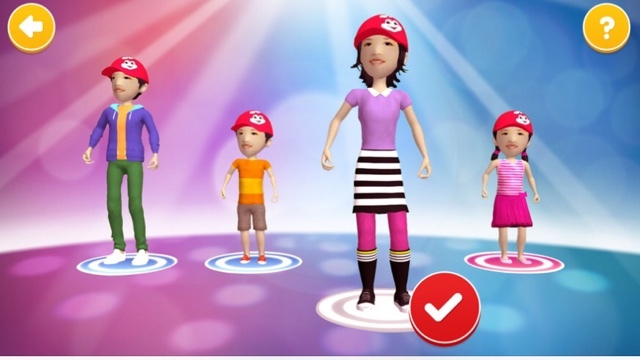 Remember, you can only do this one character per day so you have to go back to Jollibee! 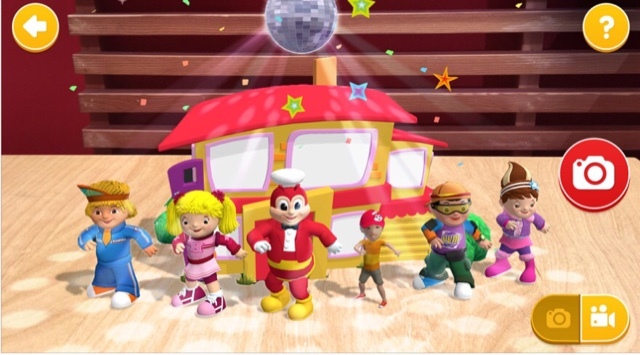 You'll love how Jollibee and his friends would be able to interact with your kids and it's just super cool to see it dance the whole day without getting tired. Imagine it on top of your table, your toys, your couch, your car, and just about anywhere you could fit that Jolly Joy Box! It's like magic and it's the first time for any fast food restaurant to launch an app of this nature! You'll love Jollibee all over again! That's not all, because they've also got something for the young and young at heart. 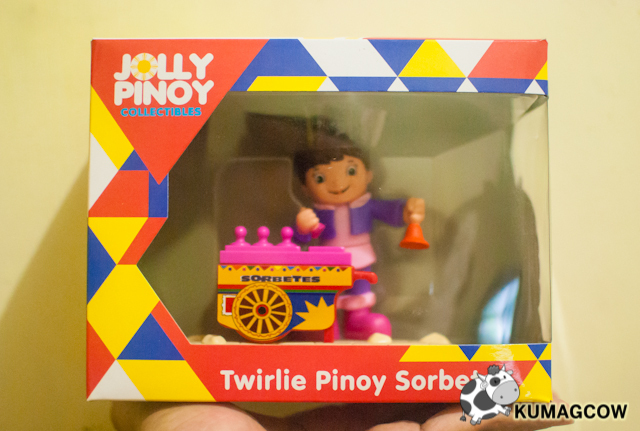 Take a look at these lovely Jolly Pinoy Collectibles! The Hetty Vinta Getaway would remind you of Zamboanga where these lovely boats are found. She also moves and plays the sound of the waves. It's not your ordinary toy which you can get for 150 Philippine Pesos for each value meal purchase. The Twirlie Pinoy Sorbetes on the other hand will make you miss the grandfather of all Pinoy street desserts, the ice cream and vehicle we call Sorbetes. She also calls for customers and rings that little bell on her hand when she needs too. This is just too fun! 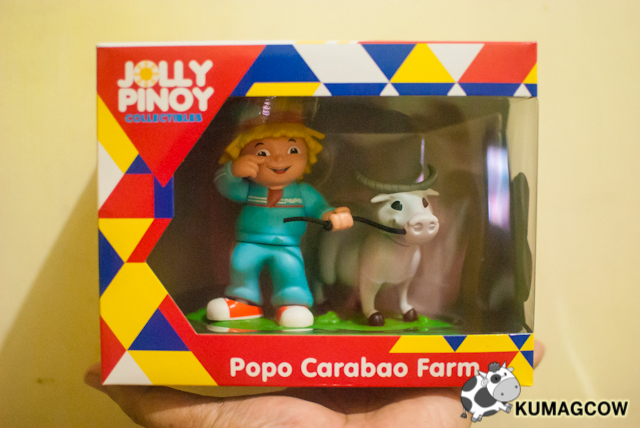 My personal favorite among all the toys is this Popo Carabao Farm. 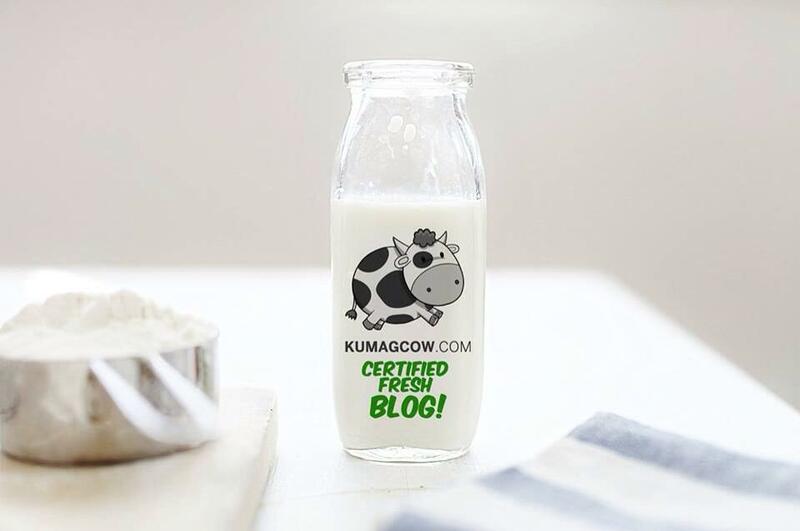 Of course KUMACOW is related to the Philippine Carabao and the cute french fry guy takes care of the audible mooing animal he's with. You should get this! 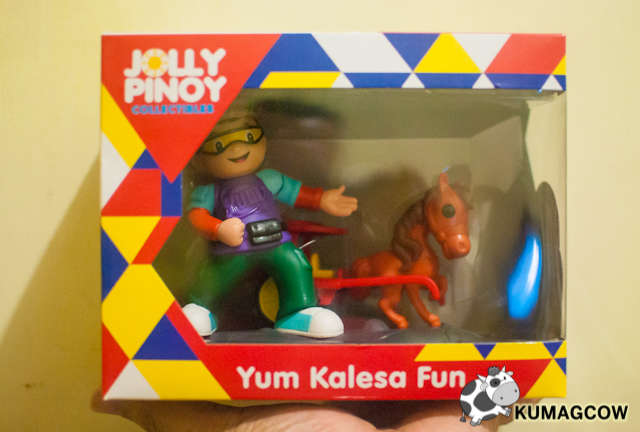 For some touristy fun, get this Mr. Yum Kalesa Fun toy. It also shrieks like a real horse at a touch of a switch. Don't you just want to take it home? Nothing comes close to being Pinoy than the real deal Jollibee Jeepney! If you want to know, Jollibee even calls passengers to ride on this cute little jeep beside him. He doesn't just make YUMmy burgers, he's also a barker! 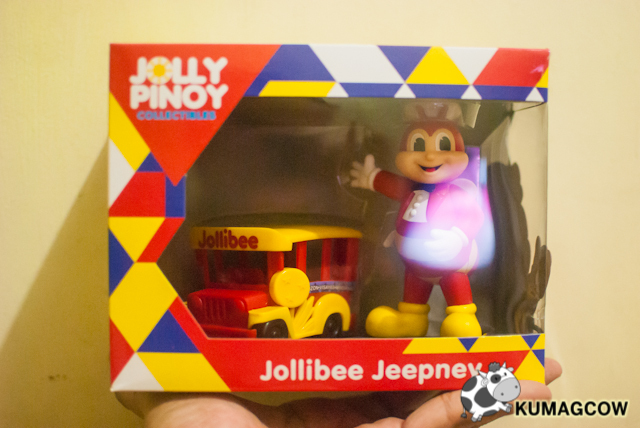 As I mentioned, you can enjoy these lovely Jolly Pinoy Collectibles by purchasing a Jollibee Value Meal and 150 bucks! That's a steal if you ask me because this lovely toys would last you for generations, you just have to take good care of it! Now how's that for a Jollibee laden post? 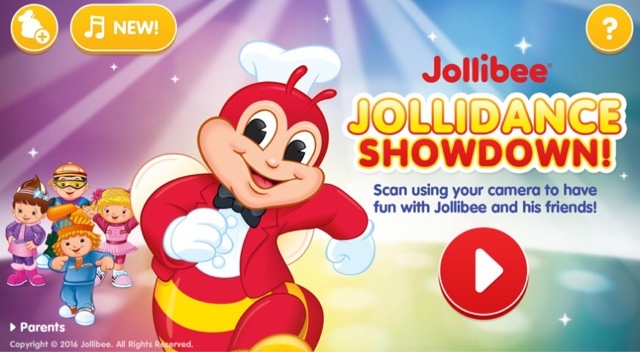 You've got the JolliDance Showdown App, plus a ton of new Jolly Pinoy Collectibles to get when you're inside a Jollibee store anywhere in the world! Oh yes, whether you are in the US or in the Philippines, the next time you crave for Chickenjoy, Yum or Champ Burgers, you'll see these inside the store so collect them all!